Matthieu Soulé is passionate about new technologies and has been working for the last 10 years for BNP Paribas between Paris and San Francisco, looking for new opportunities and innovation in the fintech, mobility and insurtech spaces for BNP Paribas Group. 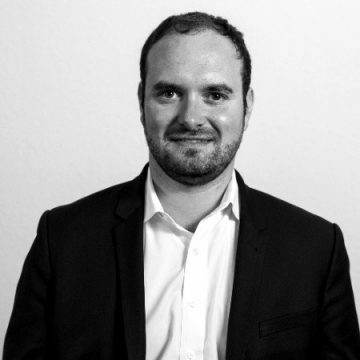 Since 2015, he is leading the analyst team of l’Atelier BNP Paribas in San Francisco and is involved in the fintech community both in the USA and Europe as public speakers and mentors in venues such as SV Forum Fintech event, Finextra Future of Money, Draper University, StartupBootCamp Fintech and EFMA. Matthieu has also been active in civic engagement organization; he was Vice-President and prior to that in charge of the International Relations & New Technologies program at the Open Diplomacy Institute.